You don't have to memorize them. Just know where to find them. How much is your electric bill? What about media (cable, Netflix, etc)? Or your phone bill? You probably have at least a general idea, and if you had to know the exact number, you could find it relatively easily. 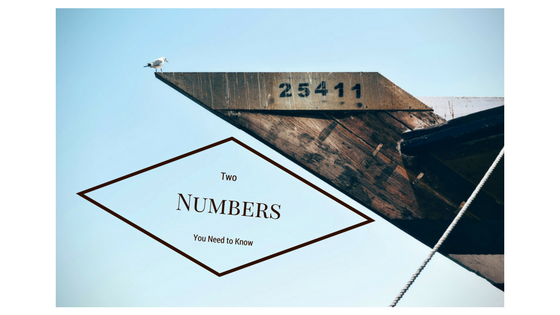 The two numbers you need to know in investing are how much are you paying and how did you do. This sounds so easy, but for too many people, it’s difficult to track down. The crazy thing is that investment companies are often reluctant to disclose this information. Can you imagine calling the electric company to ask how much you paid last month and they wouldn’t give you a straight answer? Or if you asked how much electricity you used and they would only tell you how much your individual appliances used? That is what happened to Wall Street Journal reporter Andrea Fuller when she called her investment company and asked about fees. Her story is a great read. You have got to know how much you are paying on two fronts: in fees to your advisor and in management fees for the investments themselves. For a long time, you could expect to pay about 1% of your invested assets to an advisor, but that number is dropping. What advisors actually do to earn that fee varies. Some just do investments. Others do full-on wealth management and financial planning. “But Matt, I don’t pay the guy at my bank anything to manage my investments.” Yes, you do. Part of the fees from the products you got sold go into his pockets. Ain’t nothing in this world for free, especially at a bank. The other fee to know is how much your mutual funds, ETFs, and any other investment vehicle charges. Vanguard and Morningstar have both done extensive research on fees and found that lower is better. Lower fees means you’re keeping more of your money which can then compound. It is also one of the only consistent predictors of investment success according to Morningstar. You need to know what that total fee number is and then put it into perspective. Did your advisor just toss you into a handful of ETFs and then forget about you? Maybe that’s not worth paying 1% of your porftolio every year. Are they harvesting losses and rebalancing? Did they put together a financial plan for you? Do you have a complicated situation that they are helping you navigate (options, estate planning, etc)? In that case 1% might look like a bargain. This can be tricky. Brokerage statements usually only show how a particular account or investment did and will not show you your whole picture. If you’ve got a 401(k), you’ll want that included in your performance calculations. You need to know the return numbers for your entire portfolio to track your progress to your goals. Just seeing account values does not accomplish this (unless you feel like putting together some excel worksheets). Your advisor should be able to track the whole enchilada, from the IRA you rolled over from your first job to your current 401(k), and all of those parts need to be working together. This post is just to get you thinking about the two numbers. If your advisor can provide them (or better yet, if you can track these down yourself) without fuss, that’s a really good sign. What’s a good expense number? It really depends on what you’re asking your advisor to do. The more complex the situation, the higher the fee will likely be. This post also isn’t as concerned about what your return should be as it is about the fact that you can track down a performance number for the whole thing. It doesn’t help you to know that your brokerage account did 4% while Facebook was up 12% in another account and your 401(k) is worth $100,000. That’s just data. What you need is investment wisdom. Wisdom is being able to wrangle these bits of data to create context for your financial picture.